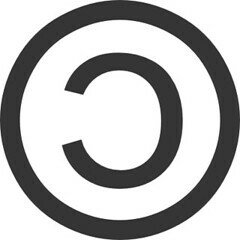 Copyleft is one of the 20th century's most important technological achievements, on a par with computers and the World Wide Web. There, I've said it. Copyleft is the principle whereby the freedom of Free Software is guaranteed using the law of copyright: any modification to Free Software that is subsequently published has to have those modifications to the source code published as well. Er, not chosen. Legally obliged. I'd like to think it was the BBC's slack reporting (obviously ZDNet's coverage was far more thorough!) but there's a sneaking suspicion that it was some power-crazed Googlopoly PR slip-up. Firstly, there is the issue about web applications being proprietary, an issue which Canonical, the company sponsoring Ubuntu GNU/Linux, had to deal with pretty quickly in the face of fears from the Ubuntu community over it's Launchpad service. The whole of Google Chrome OS is based around web apps. Out of the proprietary PC frying pan and into the proprietary Cloud. Secondly, there is a worry about Google "leveraging" it's economic might to demand hardware requirements for the new OS. Of course you can understand why they are doing this -- any Chrome OS netbook will be umpteen times faster than an equivalent Windows Immobile device. But will this also lock out other Linux distros?